Hi everyone, thanks for coming to my site. My name is Bruce Ravelli and I am a sociologist teaching, living and writing in Victoria, BC CANADA. My passion is doing everything I can to connect new students in sociology to the beautiful “shades of grey”. Over my 25+ years of teaching I have always had to manage the perception by students that sociology is so depressing and only deals with what is wrong with the world. I would tell students that most of the sociologists I know are optimists and believe that through our work we can make the world a better place. Then, in the Fall of 2014 I started working with some Graduate Students at the University of Victoria and tasked them to come up with examples of when sociology actually made a difference. My intent was to use these “case studies” to supplement the chapters in the Introduction to Sociology textbook I co-authour and thought that it would be a good way to show students and colleagues that sociology really does “make a difference”. When the students came back and said, while they all loved sociology too, they were frustrated that it was so hard to actually find clear examples of sociological research leading to social change. Not believing this could possibly be the case I spent a few hours trying to find such examples… I found it more difficult than it should have been. I “know” in my heart that there are no doubt thousands of examples of passionate and committed social scientists making important contributions every day, it is just so hard to find them and to celebrate them. This experience is what led me to think of creating this site.  I want Making Sociology Matter to become a repository for colleagues, students and members of the public to share, highlight and celebrate the wonderful things they know are happening. I want to be able to not only inspire my students through my passion for sociology but also by showing them examples of sociology in action. We need to go beyond “talking the talk” and show everyone we also “walk the walk”. I hope that you will join me in this endeavour and share this site with colleagues and friends who can help us capture the contributions that people are making to improve our world. Please know that I am not a programmer and I will pick away at this site as much as I can. But, I do apologize now for no doubt making a few stumbling mistakes as I try to navigate my way through this new world I am entering. Thanks again and I look forward to hearing from you. Send us your own examples of Sociology in action!